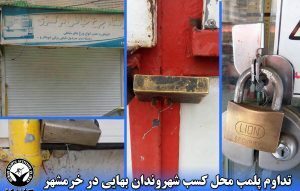 HRNA News Agency – The businesses of 22 Baha’is in Urmia that were sealed by officials of that city’s Office of Public Places in July and August of last year remain closed. These citizens’ pleas for justice have so far fallen on deaf ears. They have been prevented from earning a living simply because they closed their businesses briefly to observe a Baha’i holiday. 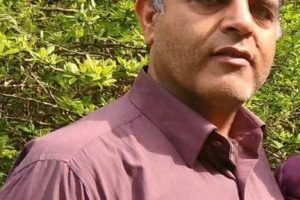 In the period between June 22 to mid-August of last year, the businesses of Firooz Lotfi, Shahrooz Samandari, Arman Noroozi, Elham Abdi, Ali Latifi, Nasser Panahi and Mr. Dargahi (clothing businesses), Mohammad Ali Derakhti (locksmith business), Vahab Moghaddam (crystal gift shop), Navid Morghi (houseware business), Siavash Abdi and Siamak Abdi (photography supplies business), Fardin Aghsani (appliance repair business), Fereydoun Aghsani (appliance repair business), Eynollah Aghdasi (refrigerator repair business), Changiz Shahmohammadi (toy store), Sassan Karimi and Bonyan Maghsoudi (automotive parts business), Ghorban Najafzadeh and Shahab Najafzadeh (washing machine spare parts business), Kaykavous Dargahi (facilities installation business) and Mr. Soleimani (first name unknown – housewares business) were sealed in Urmia, and remain closed after the passing of a year. 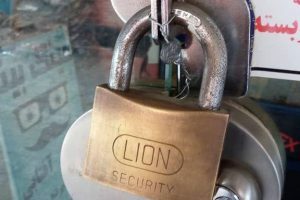 Two of the businesses, because they were in rented offices, were eventually forced to vacate their premises, after paying the rent for several months for a sealed business. 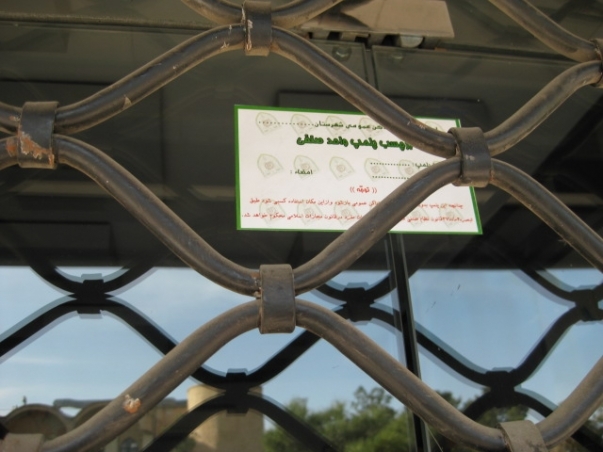 Also in May 2016, another 25 businesses owned by Baha’is in Urmia were sealed, which were gradually unsealed after several months. Baha’is, in accordance with their religious beliefs, on certain days during the year, close their businesses in order to attend to their religious observances. However, in spite of the specific legal and civil right of individual citizens to practice their religious beliefs, and how to manage their places of business, the security forces have sealed their businesses. The sealing of these Baha’is’ businesses has occurred even though, according to item B of article 28 of commercial union law, business owners are allowed to close their place of business for up to 15 days a year without informing the union. Throughout the existence of the Iranian Islamic Revolutionary regime, United Nations rapporteurs for human rights in Iran have repeatedly denounced the persecution of the Baha’i Community, considering it a blatant example of the Iranian government’s disregard for human rights treaties, even if it is a signatory. Baha’is in Iran have been deprived of their freedom of religious beliefs. This systematic deprivation is occurring even though in accordance with article 18 of the Universal Declaration of Human Rights, and article 18 of the International Covenant on Civil and Political Rights (ICCPR), both of which have been signed by the Iranian government, everyone has the right to freedom of thought, conscience and religion; including freedom to change their religion or belief, and the freedom, either alone or in community with others and in public or private, to manifest their religion or belief in teaching, practice, worship and observance. According to unofficial sources, there are more than 300,000 Baha’is in Iran, but Iran’s Constitution only recognizes Islam, Christianity, Judaism and Zoroastrianism; it does not recognize the Baha’i Faith – as a result, throughout the years, the rights of Baha’is have been systematically violated. Posted in Closure of Business, Urmia, Urumiyyeh.